Happy New Year. With every New Year, comes resolutions, which are almost immediately broken. 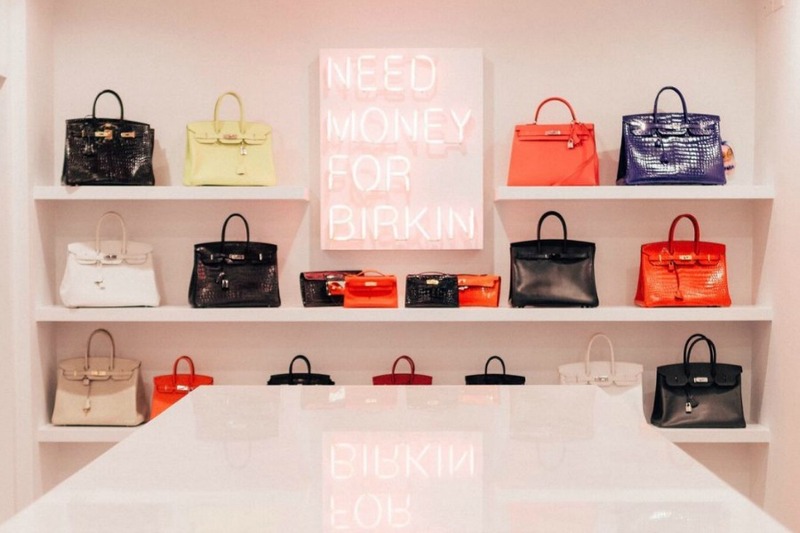 So this year, we’ve issued our Ten Handbag Commandments, which are set in stone at Madison Avenue Couture, and should be followed by every handbag lover worldwide. This tops our list. Buying fake handbags may seem like it is a money saving idea, but supporting the production and sale of these bags is a bad idea. It devalues the brands being knocked-off. More importantly, it funds illegal activities. Sales of counterfeit handbags have been linked to organized crime, drug trafficking, child labor and terrorism. In New York, fake handbags are sold on street corners and alleyways for cash-only, making perfect for funding these activities. Purchase your designer handbags exclusively from authentic sellers, such as Madison Avenue Couture, which spends considerable time and resources to ensure the bags sold are 100% authentic. Brands like Hermès, Chanel and Louis Vuitton did not become coveted brands overnight. They have lengthy and amazing histories. A collector who understands these brands and their classic styles, is likely to be more appreciative and conversant about them. Leather is delicate and some types of leather can lose their shape over time, so it’s best to let bags rest between uses. Plus, this is a great reason to own multiple bags! Most leathers will not hold their shape if overstuffed. If you consistently overstuff your bag, it will become misshapen and eventually beyond repair (and resale). Our lives are constantly evolving and our handbag needs change. Smaller bags, like Hermès’ 20cm Kelly, or more supple leathers (such as Chanel’s Lambskin) may be best for evening, while the larger bags may be better for day. Just like your own skin, leather needs to be moisturized and cared for to stay beautiful and fresh. Hermès and Chanel offer “Spa” services. Alternatively, a highly reputable independent company, like Leather Surgeons, will revitalize a bag, extending its life and making it maintain its value. Many elements will ruin a handbag beyond repair. Water: While some leathers can withstand water, many will blister or permanently spot. Hermès always provides a raincoat for your bags, which you should keep inside your handbag at all time, in case it rains. Sunlight: Constant exposure to sunlight will lighten or fade the parts of the bag exposed. While color can be applied to a bag, dying or painting a handbag is an absolute no-no as dyes change color differently and may crack or peel the bag. Ink: Ink is virtually impossible to remove and loses the value of the bag. We recommend not carrying a pen in your bag or, if a pen must be carried, keep it inside a zip lock bag. Heat: Heat can cause a bag to warp. It also can damage the gloss on a shiny croc bag or cause color change on patent leather. When storing a bag, keep it in a temperature-controlled closet. At Madison Avenue Couture, all our bags are kept in air conditioned rooms to ensure the color and shape are retained from the time it arrived. Oil: Hand oils darken and soften bag handles over time. This happens particularly in the summer, when we sweat. To maintain the beauty and life of an Hermès bag, many people put twillies on the handles. These long decorative scarves not only protect the handles, they add style and personality to the bag. Color Transfer: Dark clothing that has not been washed or dry cleaned may “transfer” to a light color bag. When wearing a light color bag, be careful of the clothing paired with the bag and try not to carry the bag close to the body. Expert leather people can improve the effects of these elements, but not all of them. The dream bag you wanted a few years ago, may not be the one desired today or tomorrow. Styles and tastes change or collections need to be grown. Access to certain bags is difficult, whether it is a quota bag like an Hermès Birkin, or a limited edition bag that is no longer produced. Learn of new bags and colors by subscribing to Madison Avenue Couture’s email list, or contact our Concierge Services for a particular bag. Instagram and Facebook has given everyone the impression that many special Hermès and limited edition bags are easily accessible. However, social media is deceiving. Many of the bags posted are the same bag, reposted and reposted by others. Ask and it is likely that the bag is “sold.” Unlike other handbag dealers, Madison Avenue Couture has all the bags offered in stock. To see our bags, follow us on Instagram at @madisonavenuecouture or check our website: www.madisonavenuecouture regularly. The saying goes: Out with the old, in with the new! January is the perfect time to alter your collection and unload the bags that no longer meet your style. Selling these bags provide the cash to to buy new bags that are more consistent with the new you. And, remember that someone is looking for the bag you no longer want. For more information read more here. Let us know in the comments section which are your Handbag Commandments! Photos courtesy of Purseblog and Fit Fab Fun Mom.